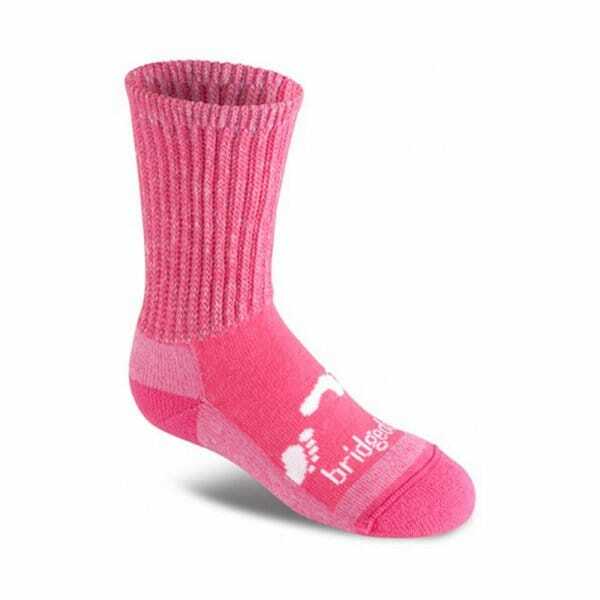 The Bridgedale Kids Wool Fusion Trekker Junior Sock is a comfortable and durable midweight sock designed for all year backpacking, trekking and hiking. The slim junior sizing ensures a great fit for day-long adventures. Designed to offer high performance durability and insulation, the Trekker sock provides thermal balance and moisture control thanks to the use of Enduro Wool. Enduro Wool is the first spin of wool that guarantees quality, softness and long lasting durability. Wool Fusion socks bring together the insulation and durability of Enduro Wool with technical fibres that provide wicking performance. Endurofil fibres wrap around the Enduro Wool yarn that transport moisture away from the skin ensuring your feet feel dry and comfortable. The Endurofil fibres also provide high abrasion and wash resistance. Wool Fusion Bridgedale socks come with a 3 year guarantee.